It wouldn’t be a Traverse conference without the Sunday Experiences to really explore our destination. This year we have some superb experiences on offer. Many of the options have a limited number of places, so pick wisely. 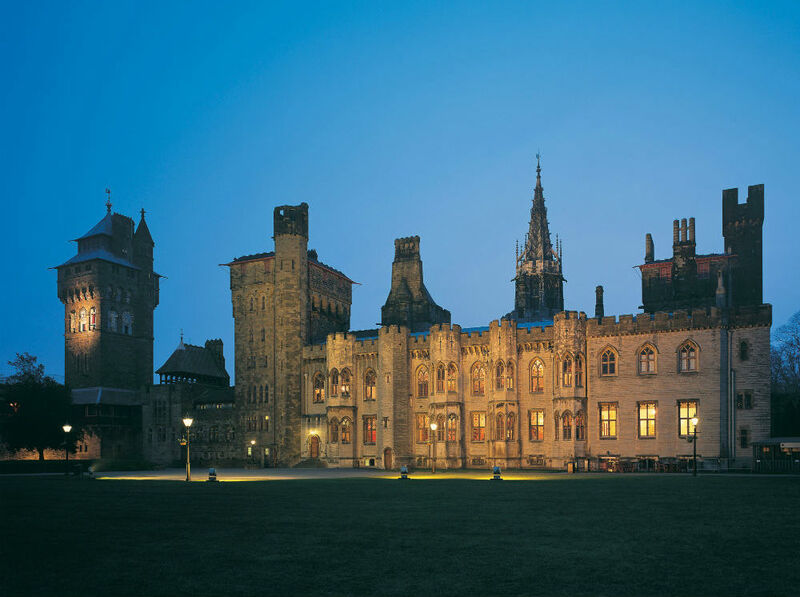 For each an every one of our attendees we have a ticket for the excellent Cardiff Castle Premium Tour and it’ll also be valid from Friday 8th of April until Monday 11th April. Have a browse through the current line up (a few more will be added) to see what you could be doing in Cardiff. 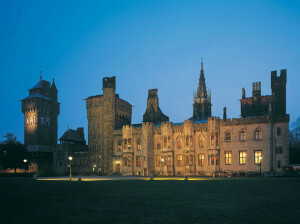 The best place to get your bearings is at Cardiff Castle. You can’t miss it. 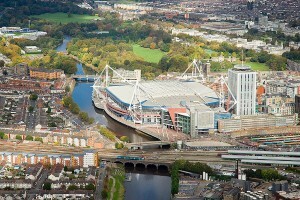 Cardiff revolves around it. It’s like a big calm cube right in the city centre. Originally a Roman fort, it’s now a mixture of buildings from all eras. 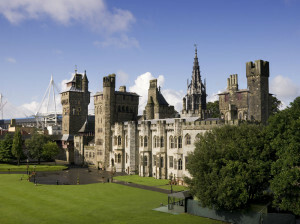 Ultimately, it was the 3rd Marquis of Bute, one of the richest men on the globe, who transformed Cardiff Castle into the mock gothic high camp, extravaganza we have today. Take the guided tour. The interior is stunning. Then climb up to the top of the 12th century Norman Keep (the little castle in the middle) for great views over the city. When – Anytime, your ticket is valid from Friday 8th until Monday 11th, tours depart on the hour, 10am-5pm. Just show your conference accreditation at the ticket office. 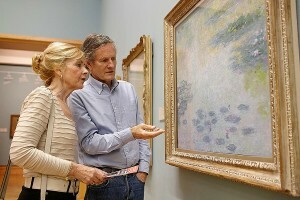 National Museum Cardiff – Tour of the Impressionist Galleries with the Keeper of Art. 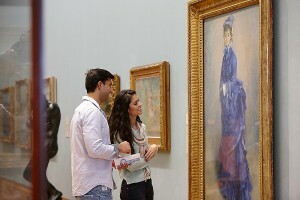 The museum is one of the finest in the UK. 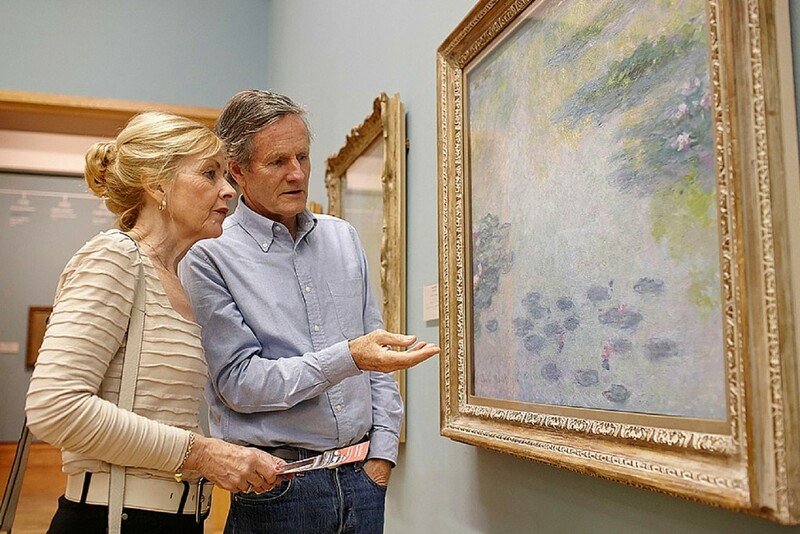 If you had the time you could quite happily spend a few days in the wandering the galleries, but because you don’t, we have arranged a highlights tour with the Keeper of Art, Andrew Renton. The main draw for most people is the Davies Collection. The Museum holds one of the finest collections of Impressionist paintings in Europe. Cezanne sits next to Renoir and Rodin, opposite Monet, near Pissarro, over by Manet. 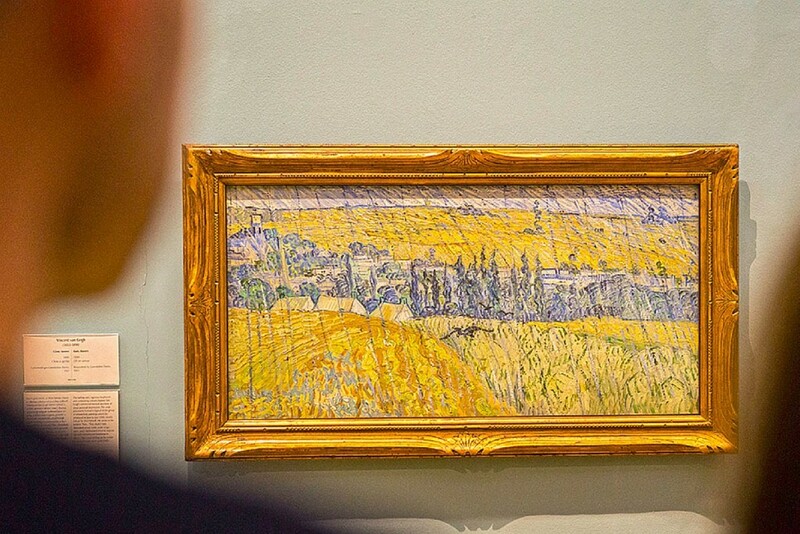 Look out for Van Gogh’s stunning Rain at Anvers – angry slashes of rain run right across what is otherwise a beautiful landscape, it was painted just weeks before his suicide. On a lighter note you will be pleased to know that that the museum is completely free! So you can visit at anytime if you can’t make the tour. You can also take a journey through time and space in the Evolution of Wales gallery on the ground floor and come face-to-face with dinosaurs. 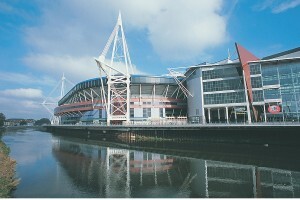 Where – Cardiff Civic Centre, you can’t miss the Museum, it’s the big domed building next to City Hall – meet in the lobby. This is the best way to blow off those cobwebs or a lingering hangover from last night! We take to the water at Cardiff’s purpose built International White Water (CIWW) it’s situated at International Sports Village in Cardiff Bay. 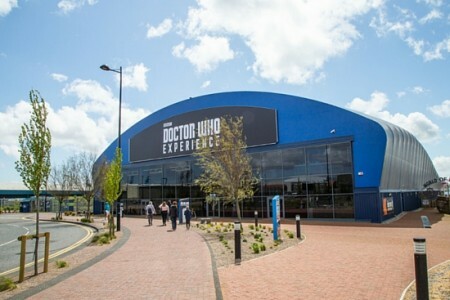 It opened in 2010 and is unique in the UK. Positioned on the Bay Edge walkway, you will be able to access the site and view action on the water before taking the plunge into the rapids. For a thrilling water sports adventure they offer a unique environment of on-demand white water, plus access to a diverse river system for flat water paddlers only a stones throw away from the city with all it has to offer. The two 9m Ribcraft boats, Cobra and Phoenix, are the newest fast passenger boats in Cardiff Bay propelled by twin high powered Mercury Marine outboards. These boats are capable of providing the thrill of a lifetime! On boarding the vessel our experienced skippers will set sail towards Cardiff Barrage for the next lock out to sea. Heading through this multi-million pound structure you can see it at its best. 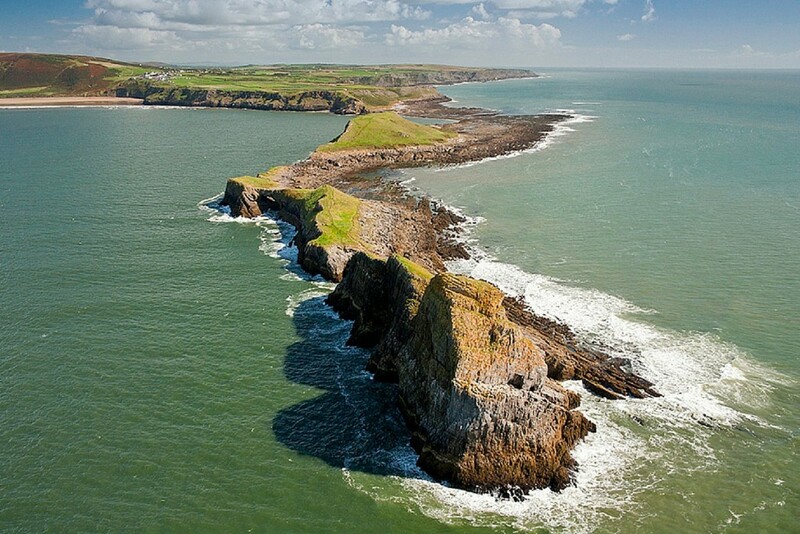 Once into the Bristol Channel you will cruise along the Penarth coastline towards Lavernock Point. After a breather, we then jet off to Flat Holm Island, where our tour guide will be able to give you some of the history of the island. We will conclude with a fast trip back to Cardiff Bay, finishing off with a few high speed manoeuvres before returning you safely back to Mermaid Quay. 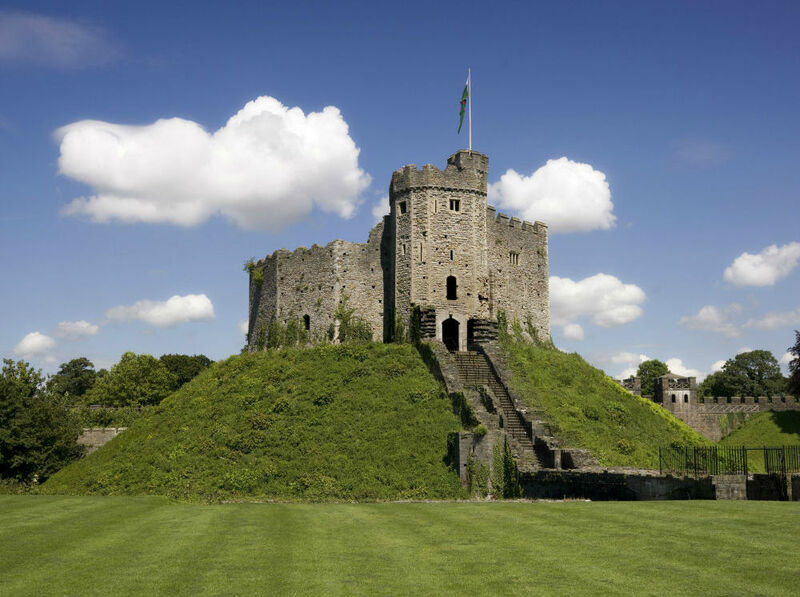 Join one of our Cardiff guides for a shopping trip with a difference. Cardiff has all the major stores you’d expect to find in a capital city. 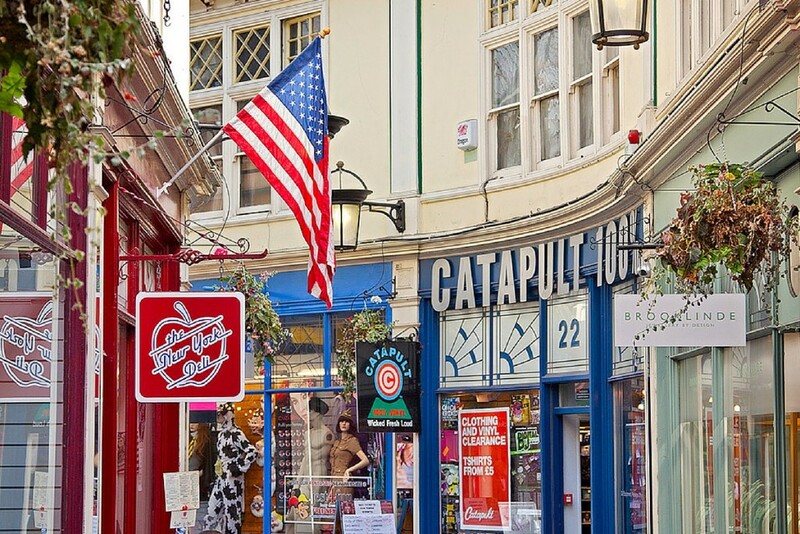 But two things make shopping here a special pleasure – the compact city centre and the authentic Victorian and Edwardian arcades with their individual and specialist shops. 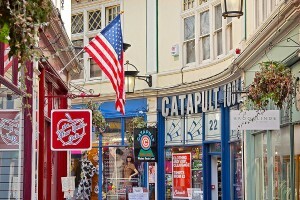 There are six arcades in total, stuffed full of the quirky and the unusual. 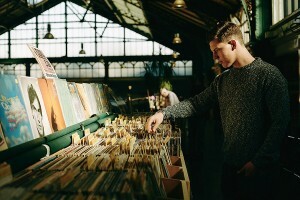 Snug coffee shops sit next to esoteric club clothing boutiques and chic high end fashion stores. There’s a shop that sells nothing but buttons next to one that sells nothing but violins. And they’re next to a surf shop and a Welsh cheese shop, this trip takes in them all plus a few stops for coffee. Strangely for a country known for its mountains, Cardiff one of the UK’s flattest cities so it’s a fantastic city to discover by bike! This easy cycling tour takes in Cardiff Bay, the Bay Barrage, Tiger Bay, Doctor Who film locations, the White Water Rafting centre and not forgetting the stunning buildings around Mermaid Quay. Your guide is Pol Van Steelant who runs Cardiff Cycling tours. The National Coal Museum or as it is more widely know, Big Pit was a working coalmine until it closed in 1980. Then in 1983 it became a museum of the South Wales mining industry now it stands high on the bracken-clad moors of north Gwent importing visitors instead of exporting coal. The highlight of the visit is the hour-long underground tour, led by ex-miners, which takes you down in the pit cage to walk through underground roadways, air doors stables and engine houses built by generations of mineworkers. On the surface you can explore the colliery buildings – the winding engine-house, the blacksmiths’ workshop and the pithead baths where you can learn more about the story of coal and the social life of miners families. The second half of the trip takes in the stunning landscapes of the Brecon Beacons National Park. A landscape shaped by glaciers but now with rolling green hills, sandstone peaks, high mountain lakes and cascading waterfalls … and plenty of sheep! Onto the old market town of Brecon and what a lovely town it is too. Cosy little streets with plenty of shops and boutiques. A fine Cathedral, indoor market and a host of well stocked craft shops to keep you browsing. As for lunch, Brecon has some lovely cafes and pubs but the Tower Cafe at St Mary’s church in the centre of town is something different with fine food and the chance of a chat with the locals. 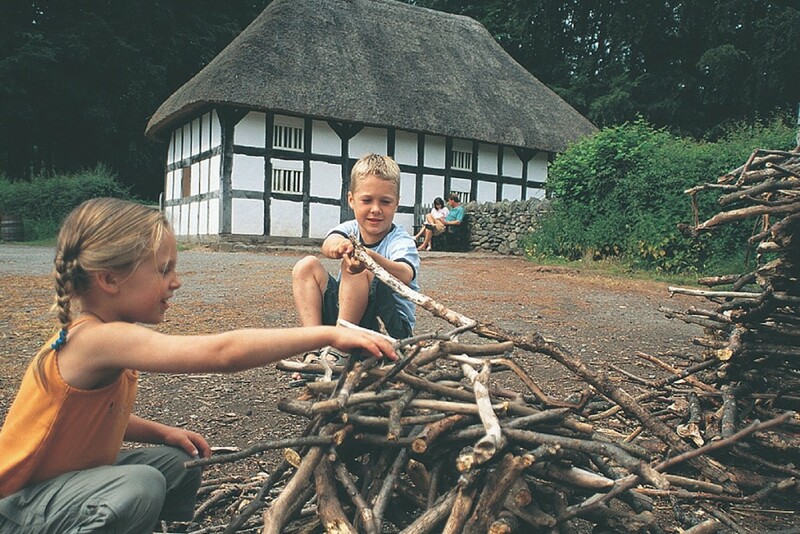 We stop next at the National Park Visitors Centre situated in the heart of this inspiring ‘breathing space’ to discover why the Brecon Beacons is so special. Maybe you’ll feel like a short walk or, if you’re feeling a little fitter, a walk up to an ancient iron-age hillfort to stand where people lived over 2500 yrs ago. 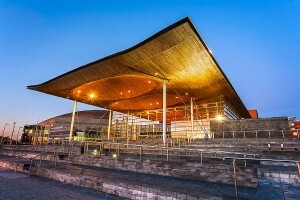 Where – depart from the steps of the National Museum Cardiff in the Civic Centre. 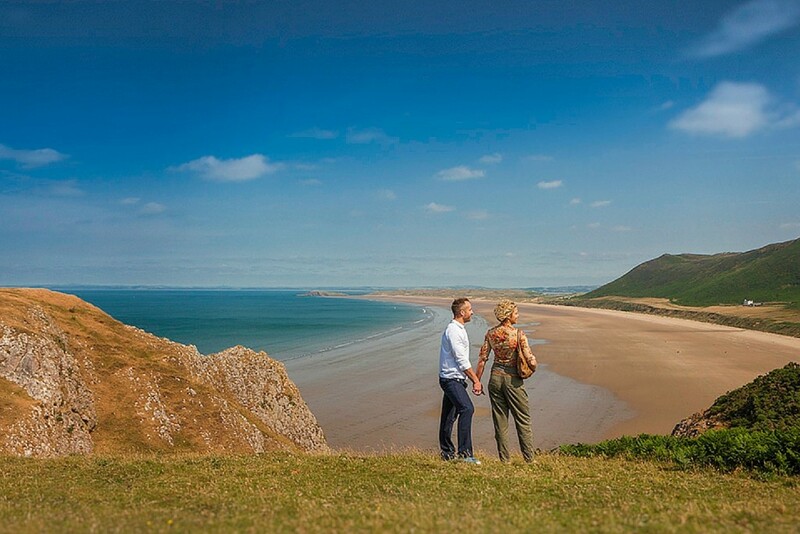 The main highlights are walking the coastal path and a visit to Rhossili where you’ll have the chance to explore the ‘serpent in the sea’ and soak in the spectacular view of Rhossili Bay. 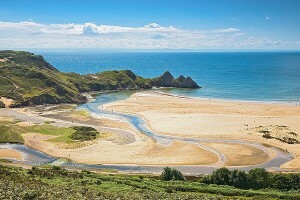 We complete your discovery of Gower with a visit to the northern shore to visit Weobley Farm for superb views of the salt marsh and where there just happens to be a ruins of an ancient castle. There’s plenty of walking to do on this tour if you wish but plenty of views to admire at your leisure if long walks are not your thing. Our walk takes us around the beautiful civic centre, Bute Park, city centre and world famous arcades. 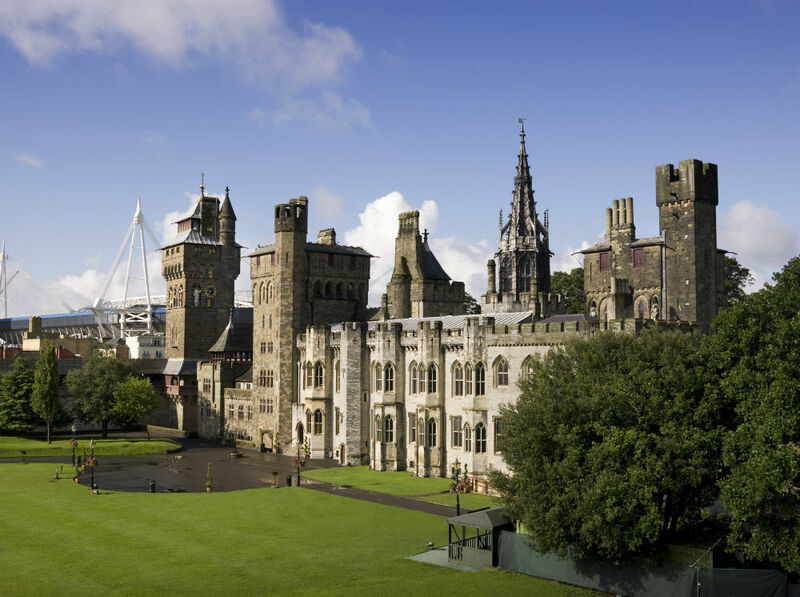 We take in over 2000 years of history and get to know many of Cardiff’s extraordinary citizens from martyrs to marquesses. The Principality Stadium (formally known as the Millennium Stadium) is quite simply magnificent. 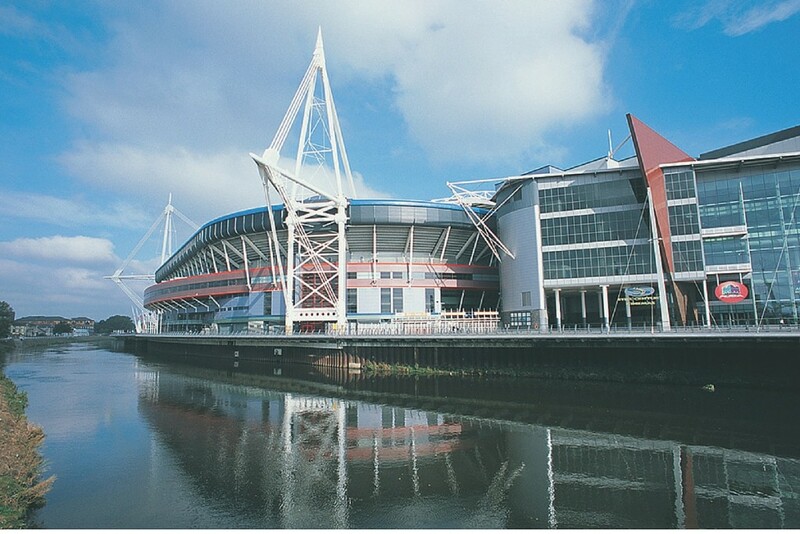 The stadium dominates the city and has become an iconic symbol of not only Cardiff, but of Wales as a whole. 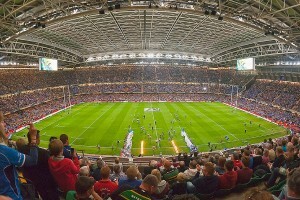 The capacity is 74,500, and all seating has an excellent, unimpeded view of the action on the pitch. Its four masts hold up a massive sliding roof. The roof is so well balanced that to open or shut it costs no more than £5 a time. Each of the stadium’s fifteen bars are equipped with the so-called “joy machines” which can pour 12 pints in less than 20 seconds. We take the tour of the stadium which includes running down the player’s tunnel. 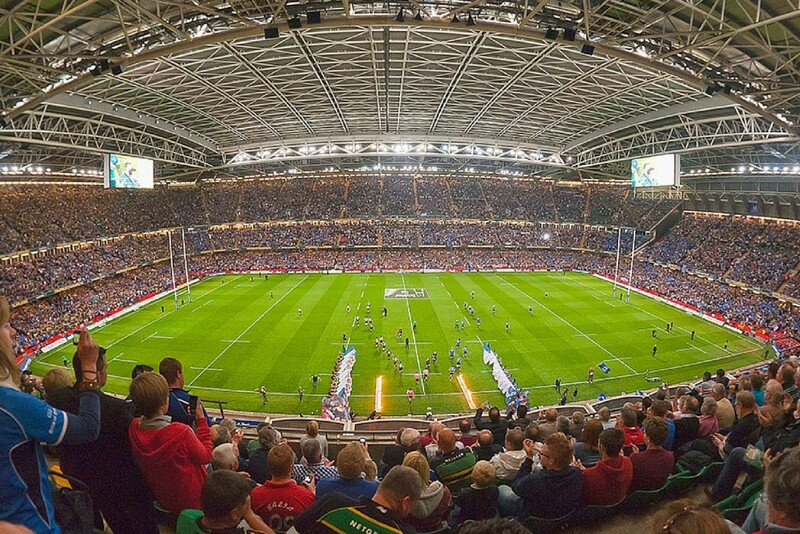 Imagine yourself being greeted by 72,500 people eagerly awaiting the pain and the glory of rugby at its best; they even play the crowd cheering and the Welsh National Anthem. Quite stirring is an understatement! Just to the north of the city lies the Disneyesque Red Castle or Castell Coch as it is known around here. 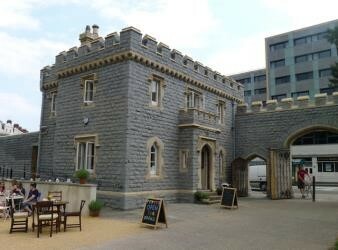 Hire a bike and take a picnic and self guide yourself up the easy Taff Trail cycle route to this unique castle. Our tour starts off at the hands on Science centre in Cardiff Bay known as Techniquest. If you’ve got kids, this is where to leave them for a few hours, if you haven’t; just pretend, it’s great for adults too! 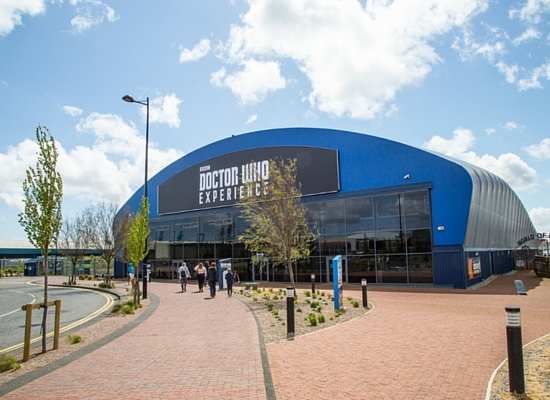 Techniquest is one of the UK’s largest science centres, it’s packed full of fun exhibits, experiments and hands on quirky stuff like firing rockets to bubble racing. 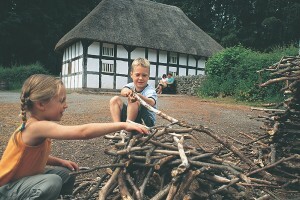 St Fagans is one of Europe’s foremost open–air museums and Wales’ most-visited heritage attraction. 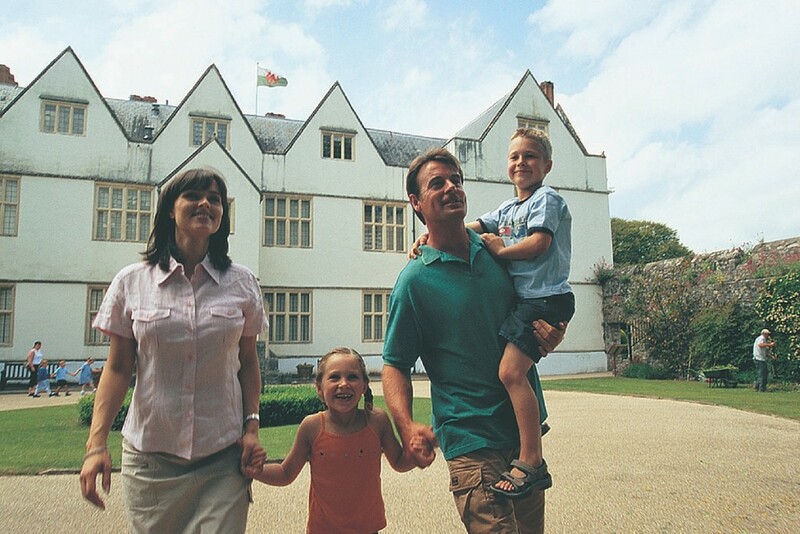 It stands in the grounds of the magnificent St Fagans Castle, a late 16th-century manor house donated to the people of Wales by the Earl of Plymouth. During the last fifty years, over forty original buildings from different historical periods have been re-erected in the 100-acre parkland. The re-erected buildings include houses, a farm, a school, a chapel and a splendid Workmen’s Institute. There are also workshops where craftsmen still demonstrate their traditional skills. Native breeds of livestock can be seen in the fields and farmyards, and demonstrations of farming tasks take place daily. Visitors gain an insight into the rich heritage and culture of Wales, and the Welsh language can be heard in daily use amongst craftsmen and interpreters. 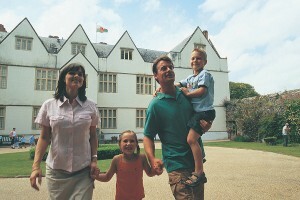 The grounds of St Fagans extend to over 100 acres in total, with many buildings in the open-air section. The Museum is one of the UK’s top ten free attractions as voted by users of TripAdvisor. Tickets available – 7 or if you want to explore yourself you can take a bus to either Techniquest or St Fagans. Duration is 1 hour (but allow 2 hours to see the whole of the castle) Please note there are many steep and uneven steps on this tour. For a truly exclusive visit, take a private tour of the Castle Apartments with your own personal guide who will give you a further insight into the Castle’s exquisite decoration and the powerful personalities that transformed the Castle in the nineteenth century. The tour also includes a visit to the spectacular rooms in the Clock Tower. Duration – 90 minutes (but allow 2 hours to see the whole of the castle) Please note there are many steep and uneven steps on this tour. Tickets available – 15 per tour. Duration: As long as it takes to eat several rounds of sandwiches and lots of mouthwatering cakes. Built to stage The Ryder Cup 2010, the course opened for play in July 2007. The first course to be built specifically for golf’s greatest team tournament, it measures a robust 7,493 yards off the back tees and has a par of 71. With water hazards on half of its holes, the course has six signature holes and presents many more memorable tests and risk-and-reward dilemmas. One of the features of the spectacular new course is its variety with many of the earlier holes having a links-like feel with some long rough and greenside swales, before the middle section of the course reveals the full extent of the lake-lined challenge.from hotel the lobby of the Park Plaza Hotel, Greyfriars Road at 12. Where: Celtic Manor Resort (about 20 minutes from Cardiff) taxi will depart from hotel the lobby of the Park Plaza Hotel, Greyfriars Road at 12. NB: This is a Championship Course suitable only for experienced golfers. A Handicap is required to play the 2010 Course. Please could you indicate your handicap before the event starts. Please note strict dress code of Smart Casual golf attire – no denim jeans or trainers. Club hire is available. Riverside Food market followed by a Welsh Cookery lesson at Nos Da Backpackers. 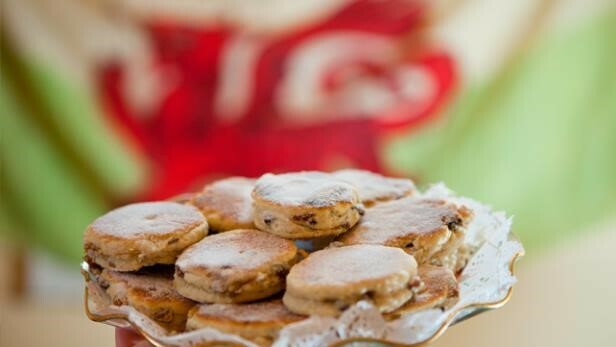 This morning gives you a chance to experience a farmers market in the city followed by an amazing lesson in Welsh cooking. The Riverside Farmers Market takes place every Sunday morning and is widely recognised as one of the key attractions in the city. 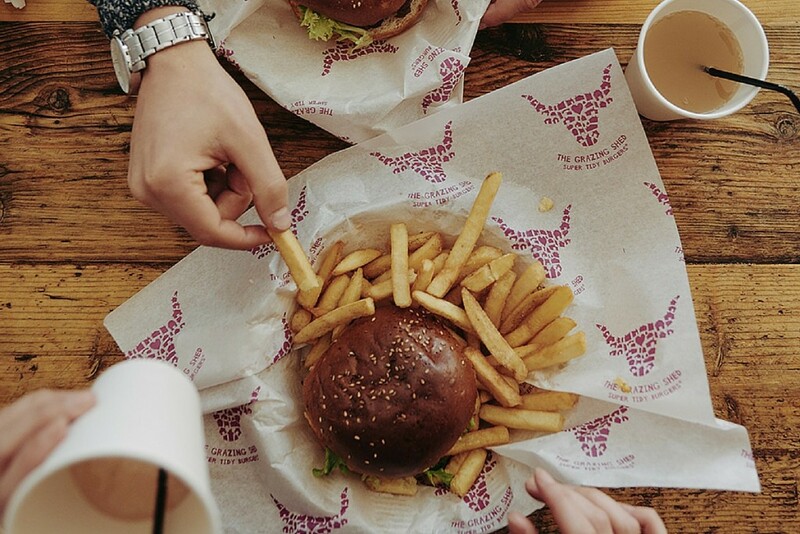 The Market follows the bank of the River Taff – a perfect location for a true local food market. From here we head just up the road to the Nos Da Hostel where we will learn how to cook contemporary Welsh food using great local produce. Cardiff is the home of Doctor Who and now is your chance to go on an interactive adventure with the Twelfth Doctor before stepping behind the scenes into the world’s largest collection of Doctor Who props, sets and costumes from the iconic TV show. 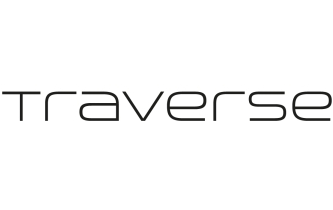 Duration: The interactive adventure lasts almost 30 minutes. 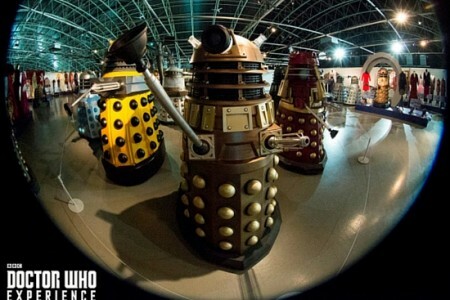 After the adventure, visitors can stay as long as they like in the Exhibition Hall. As a guide please allow around 90 minutes. Join a Professional Graffiti Artist and learn how to create a large scale Graffiti mural of your own. Our expert tutors will assist you in painting a large mural at the UK’s only dedicated Graffiti Gallery. In a 90 min workshop you will learn Graffiti and Aerosol Art techniques, and go away with the skills to create your very own masterpieces. Tickets available: 6 participants per session. The building is all glass and slate and looking very much like a Welsh armadillo. 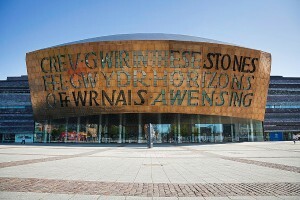 It’s home to seven of Wales’ major cultural institutions, including the Welsh National Opera. The structure is dominated by a huge dome coated in copper oxide to give it a bronze colour. Inscribed above the front door are two poetic lines. 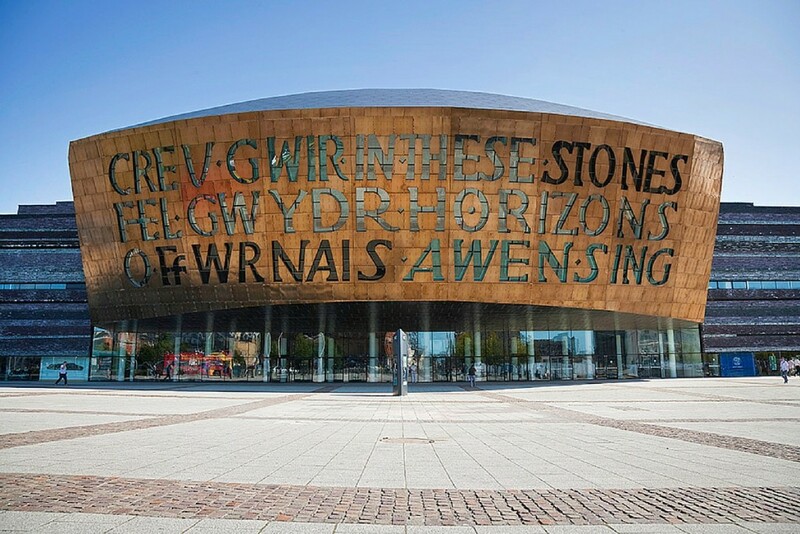 The Welsh: “Creu Gwir fel gwydr o ffwrnais awen” which means “creating truth like glass from the furnace of creation” and the English “In these stones, horizons sing” the letters form the windows of the upper floors and are lit up at night. The materials come from all over Wales and are designed to reflect the different parts of the country. We go behind the scenes (and behind those big letters) on this tour, we see one of the biggest stages in the UK and drop into a dressing room and discover some the secrets of this landmark Welsh building. In 1973, the Glamorgan Coast became the first coastline in Wales to be awarded Heritage Coast protection. With stunning views across the Bristol Channel to Exmoor in England, this area is quiet and crowd free despite being so close to the capital. Time travel in the Vale is easy you can explore from Pre historic to Norman to Victorian all in an afternoon. You are going to tour the vale visiting dramatic coastline, historic villages and hear stories of Wales, reputedly the most haunted country in the world. We will visit Nash Point lighthouse, Ogmore Castle, Dunraven and many more gems of the Vale. Dramatic limestone and shale striped cliffs, boulder-strewn beaches and sections of wide, white-sanded beaches are just waiting to be explored. To add to the drama and atmosphere we dine in one of Wales best loved and oldest pubs; the Plough and Harrow at Monknash. The Plough and Harrow is a very friendly traditional village pub that just oozes country charm. You would not look twice at it from the outside but this hides a very cosy interior. It’s very close to the path so a great place to stop for a pint and something to eat. The pub dates back to 1383 with inglenook fireplaces, beams and heaps of history with tales of the “Wreckers of Wick” storing bodies in the bar so of course a number of ghosts are said to haunt the place.